I can’t wait to see this film. Dr. Feelgood were one of THE most exciting bands on the pre-punk UK gig circuit when I were a lad. A cracking good band. Have finally got around to updating the Breezeclips video section with some new clips. Will try and do this once week! Anyway, just added the gorgeous Sade doing the housework on the beautiful Babyfather, Bruce Willis and the Gorillaz (Stylo), The Modfather’s new Wake Up The Nation single, an oldie but goodie from Turbulence and the classic OK GO paint video. Enjoy! Have also added an RSS feed from Bernews – I suggest you do too and support independent Bermuda news! For what it’s worth – here’s my annual list of favourite albums of the year. They may not be the coolest or most critically important albums but they are the sounds that stuck in my mind and on my iPod over the past 12 months. 1. My Maudlin’ Career (Camera Obscura) – This wonderful Scottish band don’t just write songs, they craft confections of near-perfect bittersweet pop and ice them with Tracey Anne Campbell’s delicate and fragile vocals. 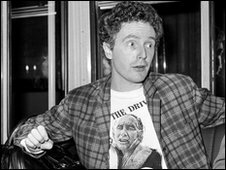 ‘My Maudlin’ Career’ was anything but. Arguably their best yet, gorgeous melodies and sweeping arrangements made songs like French Navy, Swans and Honey In The Sun among my most played this year. 2. 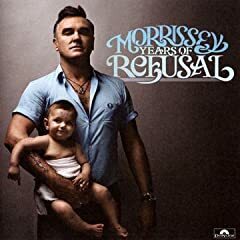 Years of Refusal (Morrissey) – Old Misery Guts is getting better with age. Something Is Squeezing My Skull, All You Need Is Me, When I Last Spoke To Carol and That’s How People Grow Up showed Moz as pompous, grandiose and lyrically absurd as ever. 3. 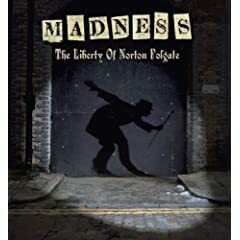 The Liberty of Norton Folgate (Madness) – Comeback of the decade. Ten years after their last studio work and 30 years after I last bought a Madness album, the aging Nutty Boys came up with an epic tale of London that sparkled with great melodies like Dust Devil, Rainbows, Forever Young, and Africa. A west end musical beckons, surely. 4. 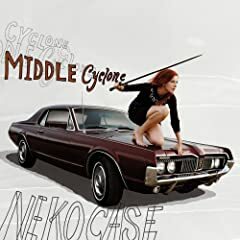 Middle Cyclone (Neko Case) – The sometime New Pornographers’ singer has one of rock’s most mesmerising voices and Middle Cyclone – her fifth solo album – found her at her peak as a songsmith and performer. Best tracks: The Pharoahs, Prison Girls, This Tornado Loves You. 5. 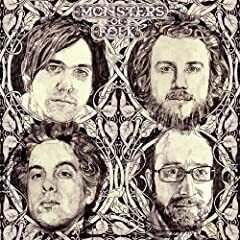 Monsters of Folk (Monsters of Folk) – Truly a sum of its many parts, Monsters of Folk successfuly combined Conor Oberst and Mike Mogis of Bright Eyes with M. Ward and Yim Yames (My Morning Jacket) from the new wave of American beardy folk-rockers. An enjoyable collection of great songs and superb musicianship that sat somewhere between the Beach Boys and the best of the Travelling Wilburys. 6. Reservoir (Fanfarlo) – Arguably the most impressive debut album of the year. An Anglo-Swedish version of Arcade Fire, they meld a bewildering variety of instruments into wonderfully layered and often infectious songs driven by the distinctive singing of Simon Balthazar. Best tracks: Drowning Men, Luna, I’m A Pilot, Fire Escape, Ghosts. 7. 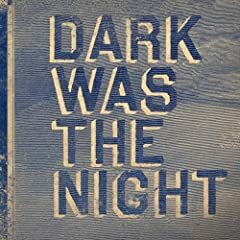 Dark Was the Night (Various Artists) – Compilation of the year. Not only did it raise money for AIDS/HIV relief, but it showcased some of the most interesting and original artists of the last decade, including The Decemberists, Bon Iver, Sufjan Stevens, Feist, Grizzly Bear, and The National as well as David Byrne and Dirty Projectors. For an extra treat, check out the live concert version from Radio City. 8. 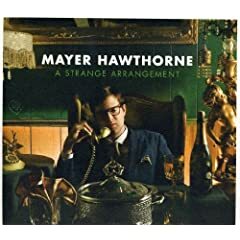 A Strange Arrangement (Mayer Hawthorne) – Andrew Mayer Cohen may be a geeky, bespectacled white guy, but few have managed to perfect the retro 60s soul sound as well as he. Nothing strange about these arrangements and Just Ain’t Gonna Work Out was one of the best tracks of the year. 9. 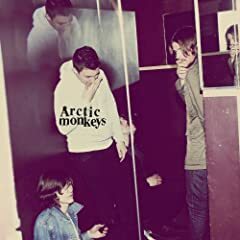 Humbug (Arctic Monkeys) – Alex Turner edged the Monkeys towards the cinematic scope of his Last Shadow Puppets side project with this, the band’s third album. Not as accessible as the previous two, this darker set was nevertheless intriguing and grew on me steadily as the year wore on. Cornerstone and Crying Lightning were certainly as good as anything Turner has written to date. 10. Working On A Dream (Bruce Springsteen) – I’m a longtime Springsteen fan so no apologies for including this, arguably his best since The Rising. 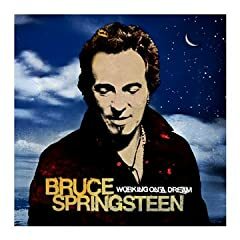 A heady mix of great pop (Surprise, Surprise; My Lucky Day and the title track) and the epic (Outlaw Pete and The Wrestler) proved The Boss still has as much drive and energy as performers half his age. Hazards of Love (The Decemberists) – Hugely ambitious murder mystery concept album. Troubadour (K’Naan) – From Somalia by way of Toronto, K’Naan brought African rhythms and imagery to rap in this eclectic album. The catchy Dreamer was one of my favourite songs of the year. Up From Below (Edward Sharpe & The Magnetic Zeros) – Impressive debut from this joyful 10-piece folk-rock group from LA. ‘Home’ was one of the most infectious songs I heard all year. Swords (Morrissey) – If you love Morrissey, you had to adore this collection of B sides and rarities. With titles like My Life Is A Succession Of People Saying Goodbye and Because of My Poor Education, what’s not to love? Sunny Side Up (Paolo Nutini) – Huge step forward for the likeable Scottish-Italian singer-songwriter whose voice bears a passing resemblance to one R. Stewart. This second album swung effortlessly from jazz and blues to folk and pop without missing a step. Infinite Light (Lightning Dust) – Sparse but lovely second album from Vancouver duo Amber Webber and Joshua Wells. 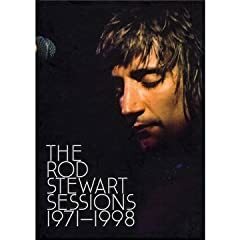 The Rod Stewart Sessions 1971-1998 – After the MOR dross of the American Songbook series, this was an unexpected pleasure for true Rod fans. Producers Andy Zax and Cheryl Pawelski trawled through Stewart’s past tapes to put together an intriguing set that includes Stewart classics as studio works in progress and a treasure trove of previously unreleased material such as Innocent, the missing Part Three of The Killing of Georgie; Thunderbird, a rousing Stewart-penned gospel rocker; and sublime versions of John Martyn’s May You Never, Frankie Miller’s When I’m Away From You, and Dylan’s Day Off, an obscure song by The Supernaturals to name just a few. I’ve Gotta Feeling (Black Eyed Peas) – Made me want to jump up and dance every time I heard it. The flash mob version on Oprah was brilliant too. All Songs Considered Listeners Pick The Best Music Of 2009 : NPR. The votes are in – and albums by Grizzly Bear, Animal Collective and Phoenix lead the listeners’ top 50 albums of the year on NPR’s All Songs Considered. Only two of the top 20 will figure in my end of year list – find out which ones later this month! The Fab Four still aren’t available on iTunes – but they are going to be on a USB stick. Well, a $279 Apple stick, anyway. The Official Beatles Shop | Limited Edition USB Stick – Contains Entire Digitally Remastered Catalogue.